What if we were to re imagine the identity of a multi national conglomerate? This branding project was done during my time at Vyas Giannetti Creative, a strategic branding and advertising agency in Bangalore, India. The client was Aditya Birla Group, a multinational conglomerate that have spearheaded various industries in India for more than a decade. The brief was to create an identity for them that was a reflection of their values but also their modernity and the brand’s capability to lead in the years to come. This project was done under the mentorship of Preeti Vyas and Chittaranjan Gnanadason and executed by a team of designers and art workers at VGC. How could the identity be modified and re imagined without losing its essence that also stood for its brand values and culture? Since the brand already had a stronghold on the market there was an effort to re imagine the existing logo form in terms of visual semiotics and pin point how to embody a modern, simplistic approach that graphic, branding identity was moving towards. The idea was to play around with the form, make it simpler, experiment with shapes without moving too far away from the previous logo form. Once the logo form was decided upon, the brand language was extended to collaterals, print and digital. The logo was utilised and the brand architecture refreshed across all the various industries. 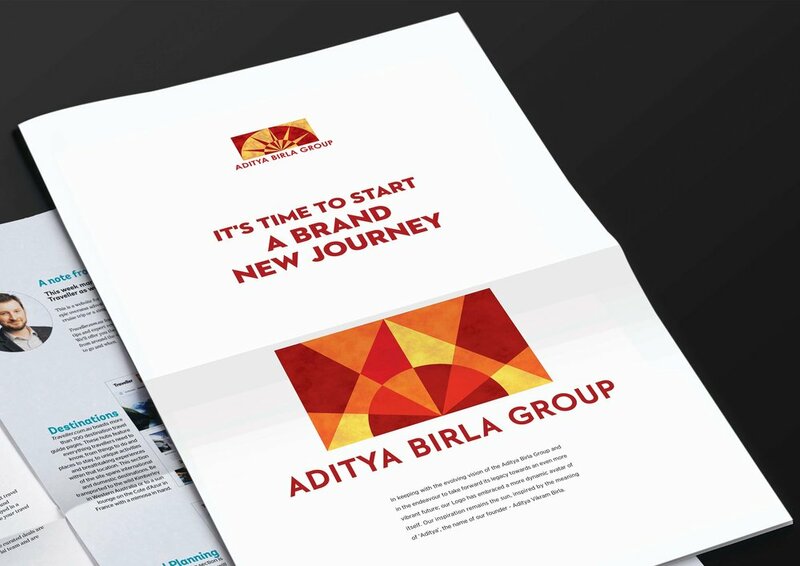 A new bolder, more vibrant set of collaterals were designed to complement this new step for the brand.The thought behind the brand transformation came to life with the line ‘A new mark for new milestones’.